More work is required to build a digital China and a smart society, which will inject strong impetus into the country's economic growth, said a senior government official. "More efforts are needed to make breakthroughs in core technologies, improve the commercialization of innovation outcomes, promote the optimization and upgrading of information infrastructure, further integrate the digital economy with the real economy, narrow the digital divide between urban and rural areas and actively participate in improving the global internet governance system," said Yang Xiaowei, deputy director of the Cyberspace Administration of China. Yang made the remarks at a State Council Information Office news conference on Tuesday, saying the government will be well-prepared for the 5G commercialization and the large-scale use of the internet protocol version 6-based network. As part of the country's efforts to boost the construction of a digital China, the second Digital China Summit, themed "New Dynamics, New Development, New Achievements Empowered by Informatization", will be held in Fuzhou, Fujian province, from May 6 to 8. "The organizing committee will invite international organizations, multinational corporations, foreign-invested companies, think tank representatives and foreign government officials from countries and regions involved in the Belt and Road Initiative," Yang added. "The summit will not only serve as a key platform to boost the construction of a digital China, but will also promote cooperation and exchanges in the information technology sector globally." A main forum and 12 sub-forums are planned during the event, covering topics related to e-government, digital economy, smart society, big data, the digital Maritime Silk Road, the internet of things and industrial internet. 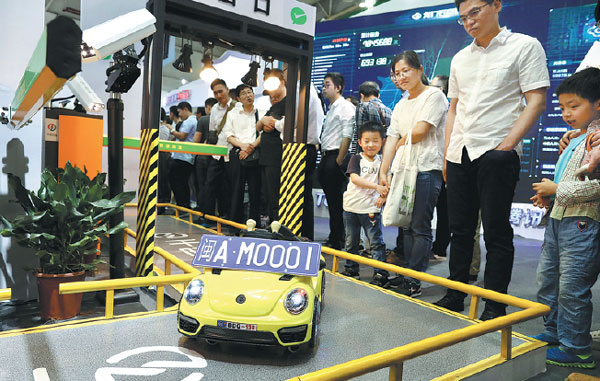 During the conference, a 60,000-square-meter expo will showcase the latest achievements such as facial recognition, voice recognition and smart restaurants. Wang Ning, deputy secretary of the Communist Party of China Fujian Provincial Committee, said the region's digital economy has grown rapidly since the first summit was held last year. The size of Fuzhou's digital economy hit more than 280 billion yuan ($41.64 billion) in 2018, accounting for 36 percent of its gross domestic product.